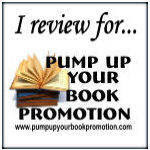 Description: Transform Your Blog into a Book! The world of blogging is rapidly changing, but it remains one of the most efficient ways to write and share your work with an eager audience. But how do you purposefully hone your blog content into a uniquely positioned book that will be noticed by an agent or a publisher? 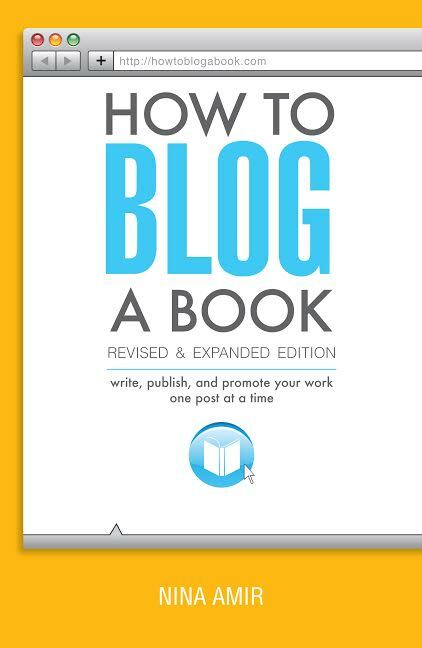 How to Blog a Book Revised and Expanded Edition is a completely updated guide to writing and publishing a saleable book based on a blog. Expert author and blogger Nina Amir guides you through the process of developing targeted blog content that will increase your chances of publication and maximize your visibility as an author. Bloggers rejoice! If you write your blog with the intent or hope of turning it into a book, Nina Amir's How to Blog a Book will be your go-to aid. Whether you are a novice blogger or well versed and experienced a blogger, it does not matter. Ms. Amir writes for both beginners and those more advanced. She explains blogging from a layperson's perspective and provides helpful tips to get exposure for your blog, and gain traffic and followers. She also guides the reader on how to find the best topic for you to blog about and how to select the right title for your book. One of my favorite parts of How To Blog a Book was reading about bloggers who have achieved their goal of publishing a book from their blogs. The list was an interesting assortment of variety and very inspirational. Ms. Amir hits on topics that unpublished writers may be unfamiliar with - - writing proposals, coming up with your pitch and an overview of your work. She also does a stellar job approaching the marketing angle - - how to determine if your market exists, who your target market is and how to go about soliciting them. While I am not looking to write a nonfiction book currently, I am writing a fiction book and found Ms. Amir's pages on promotion, branding and building your platform very helpful. Whether you are writing a fiction or nonfiction book, How To Blog a Book will prove to be a valuable resource and one no writer should be without. So what are you waiting for? Get your copy! 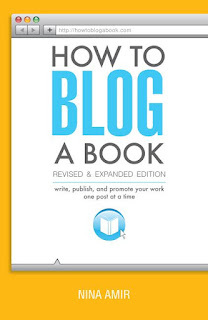 How To Blog a Book is available at major booksellers including Amazon. 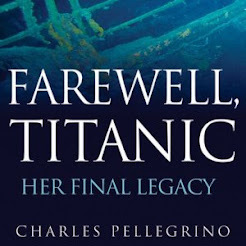 FTC Disclosure: The review copy of this book was provided by iReads Book Tours in exchange for a fair and honest review. The provision of this book did not affect the outcome of my review. I was neither paid nor compensated for this review. 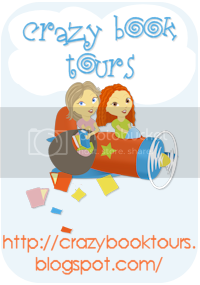 Thank you, iReads Book Tours, for including me on this tour! Eighty-one percent of the U.S. population wants to write a book, but only about two percent will become published authors. The other 98 percent will continue calling themselves aspiring authors because they think writing a book is a long, drawn out process. Or they feel overwhelmed by the idea of writing a book. Indeed, completing a manuscript can be a big goal to accomplish, but it doesn’t have to be. You can write a book in a month—or less. I wrote one in ten days. I wrote another in three months and one more in five months. I know you can write a book in six months or a year—or less. And you can accomplish this goal by writing for as little as 30 to 60 minutes per day. Not only that, you can produce your manuscript while getting your writing read—possibly by more readers in a day or a month than the average book sells in a year. Don’t Write Your Book—Blog It! It’s possible to do this if you blog a book. While the average book today sells a measly 250 or so copies per year or 3,000 copies in its lifetime, a blog that is reasonably successful can have 300 to 3,000 readers per day. Plus, bloggers write and publish a post several times a week if not every day. By writing and publishing your book one post at a time, you can get it written in record time, and get it read as well. To blog a book, write it intentionally on your blog in post-sized bits. Plan out your manuscript so you publish your posts regularly, building a fan base for your book as you do so. With this process, you can finish a book in under a year—even under six months. If you write more often, you produce more words in less time; the same is true if you increase you word count just a bit. Let’s say you average 350 words per blog post and write five days per week. That’s a 45,500 book in six months. You can determine how fast you complete your blogged book, but it doesn’t take a large time commitment to finish your first draft. My first draft of How to Blog a Book (first edition) was only 26,300 words. I completed it in five months writing 3-4 days per week and averaging about 350 words per post. By the time I edited and revised, my book more than doubled in length. If a long book puts you off, write a short one. You can write a series of posts and turn that into an e-book or a booklet, for example. 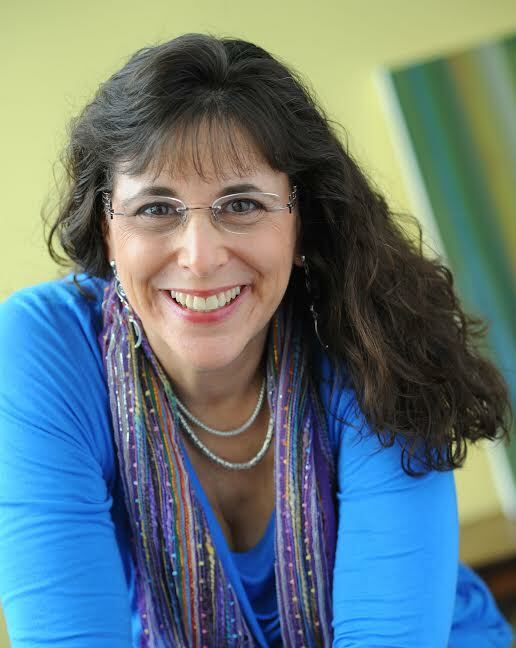 My book, 10 Days and 10 Ways to Return to Your Best Self, is based on ten blog posts I wrote during the Jewish High Holy Days. Consider writing a 15 to 30 post blogged book if that feels easier to start out. Problogger author and blogger Darren Rowse’s bestselling product, an e-book called 30 Days to a Better Blog, is based on 30 posts he wrote consecutively—a series. My book, Authorpreneur, was also written as a series of posts over the course of about a month. 1. Create a content plan or table of contents. 2. Break the contents (each chapter) into posts-sized pieces (350-700 words). 3. Write you book as blog posts on a manageable schedule. 4. Create a manuscript at the same time as posting on line. 5. Each time you complete a post, publish it. Using the blog-a-book process, you will quickly and easily get your book written. 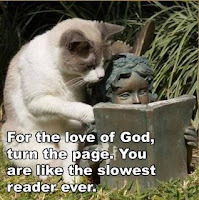 You’ll turn into a published author before you know it. Description: Happy Independence Day. You’re all going to die. How can you miss with a line like "Happy Independence Day. You're all going to die?" 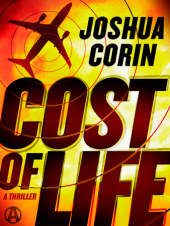 Fortunately author Joshua Corin swings for the fences and hits it out of the park with this thriller. For me, Cost of Life started slowly. A hijacked plane isn't anything new but the pace quickly picked up. I was thrilled to discover that the story took place, at least at inception, in my hometown of Atlanta, Georgia. I personally find it exciting to read of correct street names and locales when flipping through pages. Pilot Larry Walder was a strong, endearing hero. I liked him immediately and felt for his terrible situation. Are the lives of his wife and son more valuable than those of over one hundred strangers on his flight? How can he save his family, himself, his crew and his passengers while thwarting the hijackers? His female counterpart, on the ground and in the FBI, is Xanadu Marx. Xana, refreshingly, isn't your typical thirty year old heroine - she's forty-six, a recovering alcoholic and determined to solve the mystery of Flight 816 with an unusual sidekick. As a child of the late 70s/early 80s, I got a kick out of the 1980 Olivia Newton-John film references to which others believed Xana was named. I actually read this book while flying the friendly skies and while it was certainly the perfect type of book to while away travel time, it does make you give a second glance at your traveling companions. Cost of Life had my stomach in knots and veered off my suspected track several times. It kept me guessing until the very end, leaving me with a pounding heart and satisfied literary experience. 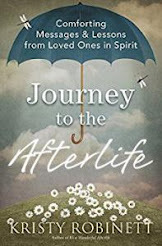 Cost of Life is available for purchase at major booksellers including Amazon. 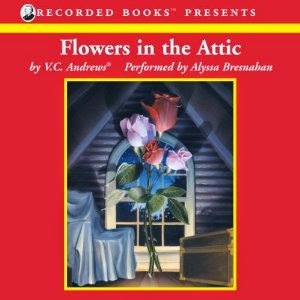 FTC Disclosure: The review copy of this book was provided by TLC Book Tours in exchange for a fair and honest review. The provision of this book did not affect the outcome of my review. I was neither paid nor compensated for this review. 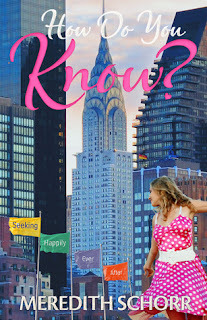 Thank you, TLC Book Tours, for including me on this tour! 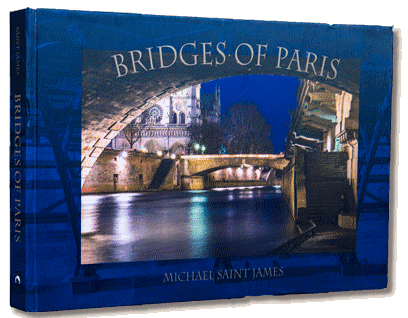 Description: Bridges of Paris is a large-format coffee-table book, with over 350 original color photographs, which casts new illumination on the City of Light. The 37 bridges over the Seine River emerge as beautiful, historic destinations rather than unnoticed thoroughfares. The book features stunning portraits of each bridge as well as intimate riverside moments. Once you’ve experienced this river tour, you will never see Paris the same way again. Living as a Parisian for a year, author Michael Saint James left his American lifestyle and spent his days and nights capturing images from over, on, beside and under the bridges of Paris. With over 30 years experience as a photographer, educator and world traveler, Michael immersed himself in French culture to search out his authentic artist self. The result is a visual treasure to share with everyone. I am obsessed with Europe. I haven't been (yet) but it's on my Absolutely Definitely Must Do List. I have many locations I'd like to see and Paris is in my Top Five. I'm also a fan of gorgeous coffee table books and Michael Saint James' Bridges of Paris ticks both boxes. This book is a visual masterpiece. The photographs, taken by Mr. Saint James, capture the beauty, the culture and the joie de vivre of Paris. Readers are treated to stunning landscapes, tourists and locals, in daytime shots and electrifying evening shots. 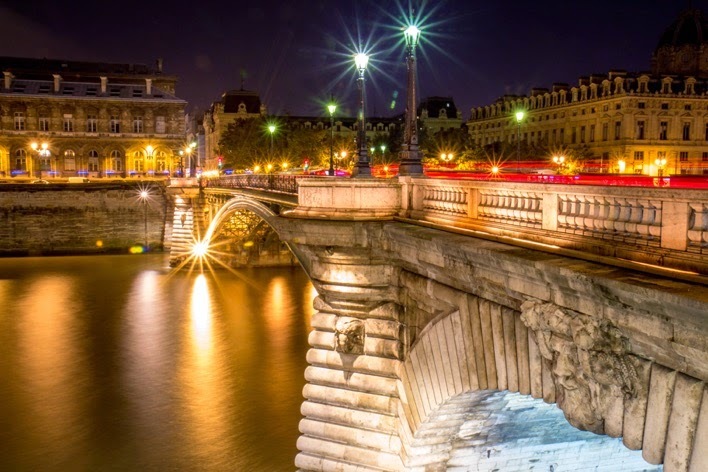 The luscious photography would be enough of a selling point for Bridges of Paris but Mr. Saint James has included history on each of the bridges featured in the book. I had no idea Paris was littered with so many bridges -- and architecturally striking ones at that - - so the information gave me a lot to chew on. Bridges of Paris is the perfect gift for the French lover in your life. It has given me a new appreciation for France's capital city and stoked my desire to see this quintessential French city. Bridges of Paris will be available for purchase at major booksellers and retailers on May 15, 2015. 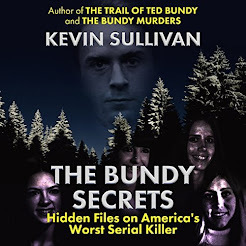 FTC Disclosure: The review copy of this book was provided by the author for the book tour in exchange for a fair and honest review. The provision of this book did not affect the outcome of my review. I was neither paid nor compensated for this review. 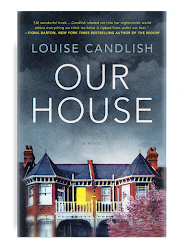 With thanks to Laura Fabiani and iRead Book Tours for including me on this tour! 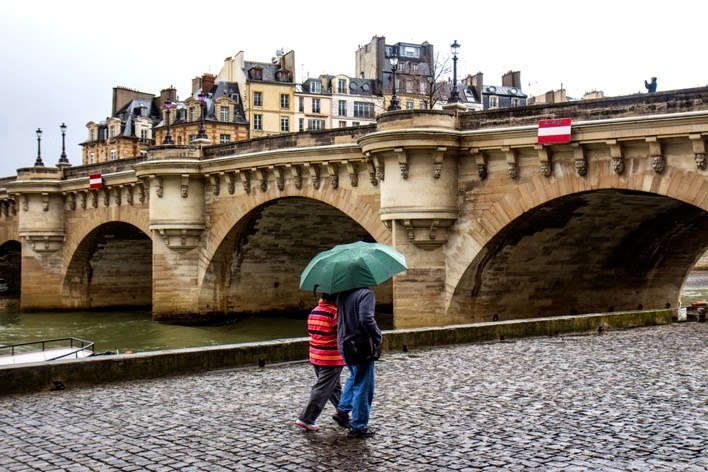 In the City of Love, two sweethearts stand on a bridge over the Seine River. They write their names on a padlock. They hook it to the bridge’s railing, and secure the lock—and they hope their love—forever. They toss the key in the river together. While spending months photographing the bridges on the Seine for my new book, Bridges of Paris, I frequently witnessed this ritual with everything from beautiful engraved locks to bike locks to handcuffs, and was still helplessly charmed every time. After the key is tossed, most lovers kiss passionately at what has now become their favorite spot in the city. They wander off to celebrate that their love and the lock will surely persist for all time — or at least until the fence, under the weight of thousand of locks, rips free of the bridge’s parapet and tumbles into the Seine. “I heard one of Paris’s bridges collapsed!” a friend emailed me from the States in June 2014. When I arrived on the bridge, the Pont des Arts, I found only one small section of the chain-link railing, filled with locks, hanging over the Seine. It hung there until city workers removed it and covered the gap with plywood. The bridge’s integrity was never in question. One catalyst for this ritual was Italian author Federico Moccia’s 2006 teen novel, Tengo ganas de ti (I Want You). Two young Roman lovers declare their bond by securing a lock inscribed with their names to the Ponte Milvio, then threw the key into the Tiber River. Locks have sprouted on bridges all over the world, including Brooklyn, London, Budapest, Serbia, Prague, Moscow, South Korea and China. Treasure or trash? In Paris, the locks are now considered visual pollution. The locks damage the bridges and keys litter the riverbed. 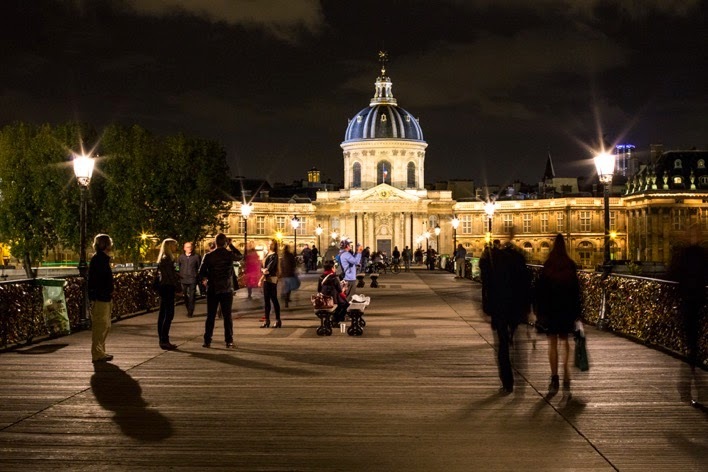 When the Pont des Arts’ railing tore, Parisians lost their tolerance. Paris has now launched a no-love-lock media campaign. Bridge wire railings are being replaced with clear acrylic panels. Though some still bring locks, the tide is turning. The love-lock fad will fade away and the beautiful crossings over the Seine will regain their architectural beauty. Lovers will always meet on Parisian bridges, gaze into each other’s eyes and make commitments beyond their understanding. When the time comes, I’ll go back to take photographs for the second edition of my book: Bridges of Paris Sans Serrures (“Without Locks”). 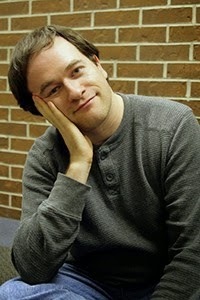 Michael Saint James’ artistic pursuits include award-winning book design, film editing, and sound recording, as well as his first love, photography. Saint James is a world traveler, having visited more than 50 countries - doing everything from photographing penguins in Antarctica to trekking the Himalayas. As an educator with California teaching credentials, he has taught media production and technology arts as well as photography, art history and visual storytelling. He is an expert speaker on Impressionist and Post-Impressionist art. Indeed, he walked in Vincent Van Gogh’s footsteps through the Netherlands, Belgium, and France in order to immerse himself in that troubled master’s vision. The father of two grown children, Saint James once owned a café in Berkeley, California. He has bicycled from Las Vegas to Washington, D.C. and is rumored to play a mean blues harmonica. Hi Everyone! If you like to travel, especially to Italy...and especially to Florence, then you have to take a look at Laura Morelli's new Authentic Arts series. Today, I am spotlighting the second set of books in this series. Don't buy anything in Florence until you read this book! If you're traveling to Florence, Italy, you want to go home with a special souvenir: a leather handbag, a piece of gold jewelry, hand-printed stationery, or one of the city's famous luxury fabrics. But selecting which jacket or which wallet to buy can be an intimidating experience. How do you know if you're buying something authentic, something made in Florence, something made in a traditional way? How do you determine if you've fallen prey to one of the city's many tourist traps? Florence boasts some of the most famous artistic traditions in the world. Here's what you need to know about them. Laura Morelli leads you beyond the souvenir shops for an immersive cultural experience that you won't find in any other guidebook. This indispensable guide includes practical tips for locating the most authentic goods in one of the busiest tourist destinations in the world. Packed with useful information on quality and value, and with a comprehensive resource guide, Laura Morelli s Authentic Arts: Florence is the perfect guide for anyone wanting to bring home the unique traditions of the capital of the Renaissance. 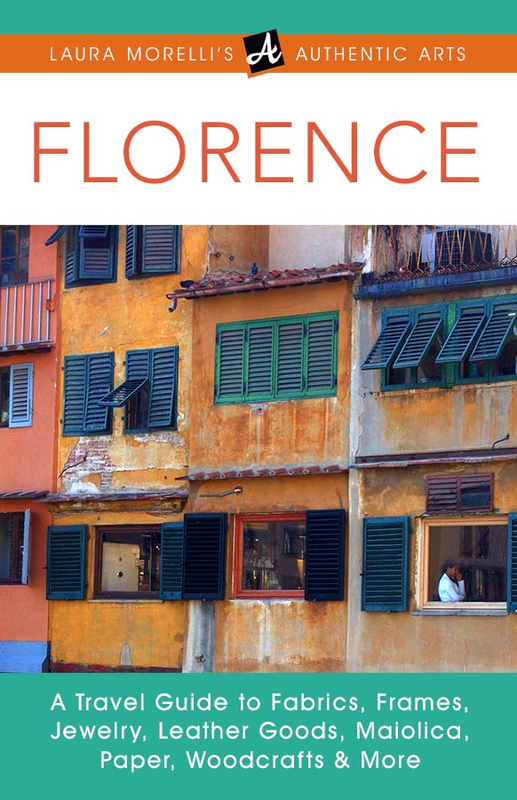 Artisans of Florence is the companion to Laura Morelli's Authentic Arts: Florence: A Travel Guide to Fabrics, Frames, Jewelry, Leather Goods, Maiolica, Paper, Woodcrafts & More . Put both books together and you'll be the most knowledgeable traveler in Florence! 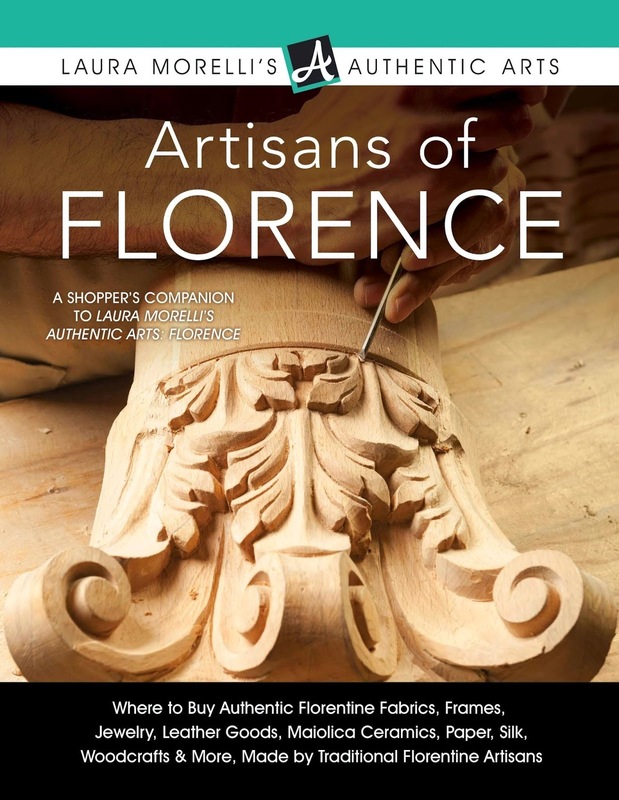 Artisans of Florence is the companion to Florence: A Travel Guide, bringing you inside the workshops of several dozen of the most accomplished makers of Florentine fabrics, hand-carved frames, and other treasures. Put both books together and you'll be the most knowledgeable traveler in Florence! Laura Morelli, an art historian and trusted guide in the world of cultural travel and authentic shopping, leads you to the best of Florence's most traditional arts. Laura Morelli's Authentic Arts series is the only travel guide series on the market that takes you beyond the museums and tourist traps to make you an educated buyer--maybe even a connoisseur--of Florentine leather, ceramics of the Amalfi Coast, Parisian hats, Venetian glass, the handmade quilts of Provence, and more treasures. Bring Laura Morelli's guides to Florence with you, and you'll be sure to come home with the best of Florence in your suitcase. 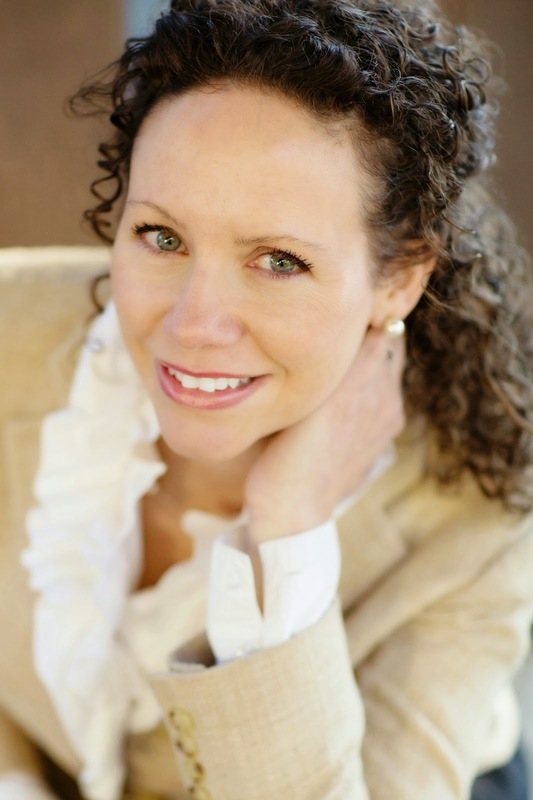 Laura Morelli is the author of the guidebook series that includesMade in Italy, Made in France, and Made in the Southwest, all published by Rizzoli / Universe. The Gondola Maker, a historical coming-of-age story about the heir to a gondola boatyard in 16th-century Venice, is her first work of fiction. Hi Julie, welcome to Psychotic State Book Reviews! Thank you for taking the time to chat with me and my readers. You recently released The Secret of Pembrooke Park and it’s receiving a lot of press and excellent reviews. Congratulations! Thank you! And thank you for having me here. If you had to describe The Secret of Pembrooke Park in just five words, what would they be? Hmm… maybe: Treasure sought; true love found. Or: Overlooked sister finds true worth. What was your favorite part of writing The Secret of Pembrooke Park? I enjoyed so many things: brainstorming with author-friends, the mind-challenge of crafting a mystery, and perhaps best of all, visiting the English manor that inspired Pembrooke Park. What is it about the Regency period that attracts you? I am drawn to the chivalry of the period--gentlemen in tall boots, ladies in lovely gowns, the manners and repressed attraction where the mere touch of gloved hands at a ball sparked romance. How long did you research the Regency period before you began writing? If reading Jane Austen’s novels and watching every film or mini-series based on them counts as research, then several years! J Otherwise, I have for the most part conducted research all along the way. I buy new research books for each new topic/profession/location I tackle. Research is an ongoing part of being a writer. There is always more to learn. If you were able to travel back in time to the Regency period, what thing do you believe you’d like the best? What would be the most difficult part of living in the Regency period? Before I had done much research, I thought it was a wonderfully romantic period (and it could be, if you had money). I would have liked the balls the most, because I love to dance and have greatly enjoyed the English Country Dancing I have done over the last few years. But now that I have learned more about the medical care, sanitation (or lack thereof), and restrictions women faced, I realize I am better suited to current times. Can you tell us about your path to being a published author? I have always wanted to be a writer, but it wasn’t until I had worked as a fiction editor for several years that I got serious and completed my first novel. I learned a great deal by working with other authors and editors, and I’m very thankful for that experience. Since I worked for my ideal publisher, I submitted my first novel under a pseudonym so that it would be reviewed objectively. Thankfully, my colleagues liked it and wanted to publish it before they knew who had written it. What is the single best piece of advice you’ve received as an author that you would like to share? Perhaps, “Less input, more output.” Eventually, you have to lay aside the research and WRITE! Some random questions . . . 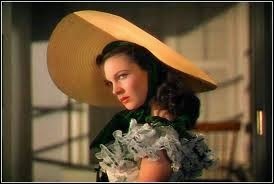 If you were a character in Gone With the Wind, you would be . . . Depends on the day! I took two different online quizzes and one said Scarlett and the other said Melanie. That’s quite telling really, because I am one of those adaptable middle children who fills whichever role is needed in a given situation. Structured routine or fly by the seat of your pants? I am not very structured or organized by nature, but I am working on it! The book currently on your nightstand is . . .
Rebecca by Daphne Du Maurier is on the top of the stack. Your favorite guilty pleasure movie is . . . The fictional character you would most love to meet is . . .
Mr. Darcy, assuming he was about to fall madly in love with me. Otherwise I think he would be quite intimidating. The actress who could best portray you is . . .
Off the top of my head, maybe the talented Laura Dern (if I had a thinner nose and she had a wider…everything else) . We’re both tall, blonde, and similar ages. One fun thing about you most people don’t know is . . .
Let’s see…. I once taught ballroom dance to a group of people with various disabilities. It was challenging but rewarding. Can you share with us what’s next for you? With pleasure. I have a new book coming out in July, called Lady Maybe. It’s about a woman whose startling secrets lead her into unexpected danger and romance in Regency England. Then in December comes The Painter’s Daughter, my first novel with a marriage-in-name-only premise. 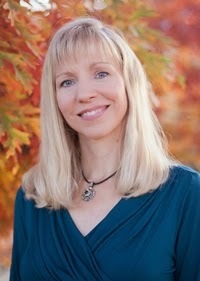 Thank you, Julie, for taking the time to sit down with Psychotic State Book Reviews. Best of luck to you with The Secret of Pembrooke Park! You’re welcome. And thank you—I enjoyed your fun questions. 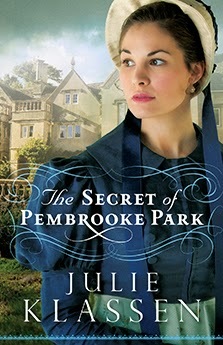 For more information on Julie and The Secret of Pembrooke Park, please visit her website. Be sure to enter Julie's fantastic giveaway here. And is it just me or is Julie a dead ringer for actress Rebecca DeMornay?